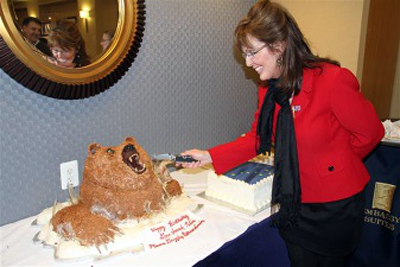 We made a few cakes for Sarah Palin's birthday in 2012. 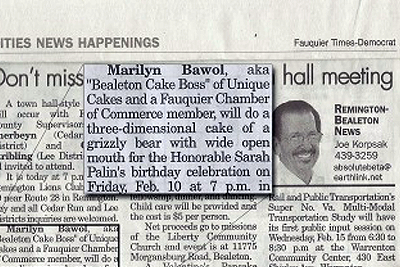 Governor Palin was in the DC/Northern Virginia area to speak at the 2012 CPAC and the day before happened to be her birthday. 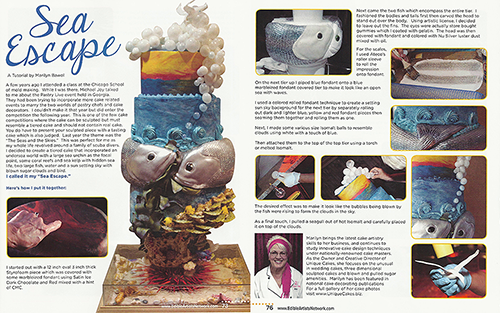 Unique Cakes was called on to create a 3D bear cake, along with two sheet cakes bearing the US and Alaskan state flags. 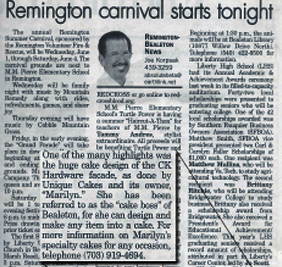 That event made the front page in the local press which also refers to Marilyn as "the 'cake boss' of Bealeton." 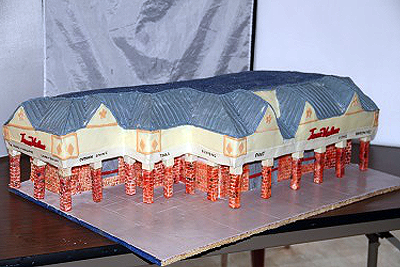 Another highlight was the huge cake design of the CK Hardware facade that Marilyn created for their grand opening. 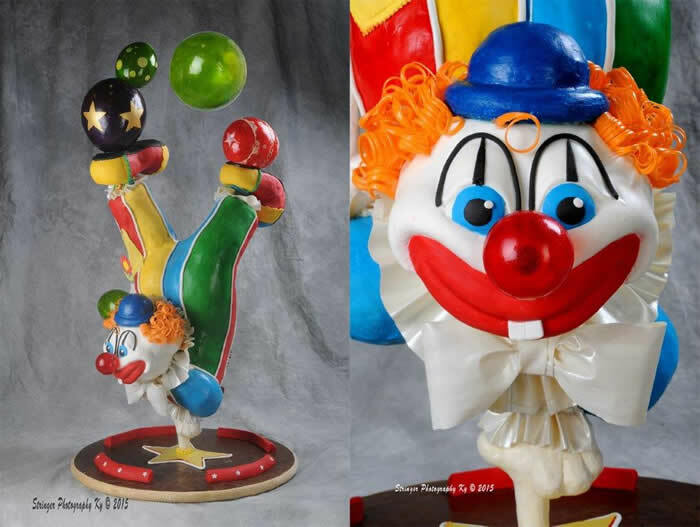 She again was referred to as the "cake boss of Bealeton, for she can design and make any item into a cake." 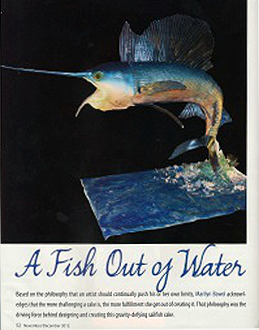 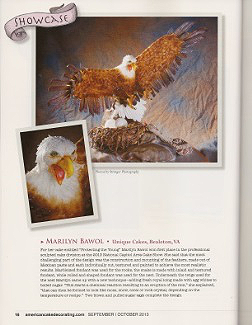 Marilyn has been a contributor to the National Magazine American Cake Decorating which highlighted one of her cakes in the June/July 2009 issue with an Honorable Mention in their 2008 American Style Competition. 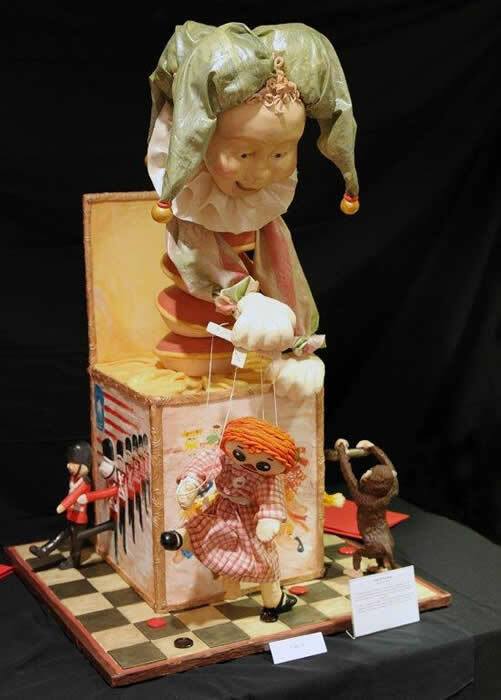 Marilyn has competed in the National Capital Area Cake Show (NCACS) and Pastry Live events. 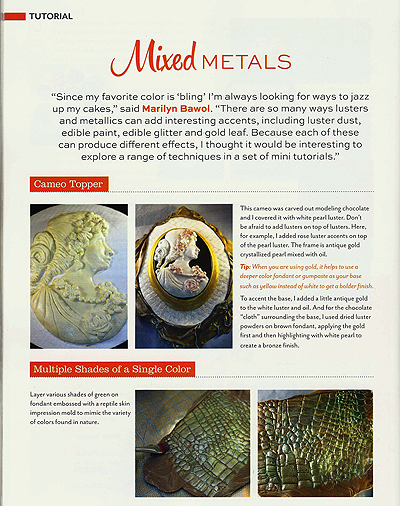 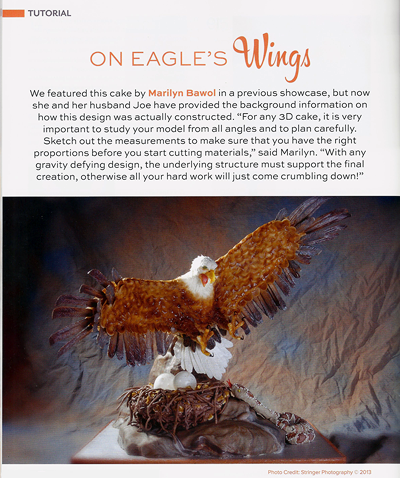 Marilyn then shared her creative process by publishing a step-by-step tutorial in American Cake Decorating Magazine. 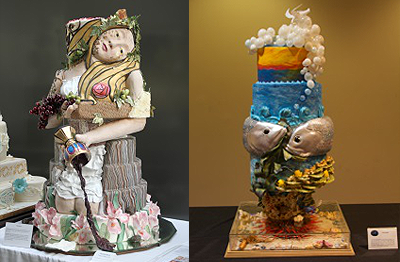 In 2014, at the National Capital Area Cake Show, Marilyn won first place with her Young Entomologist girl with a firefly. 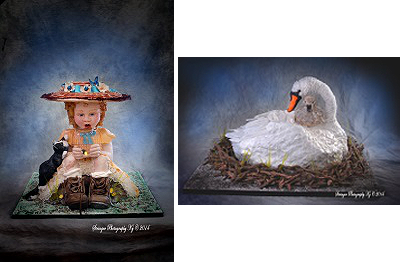 And second place with her Downey Comforter swan and baby. 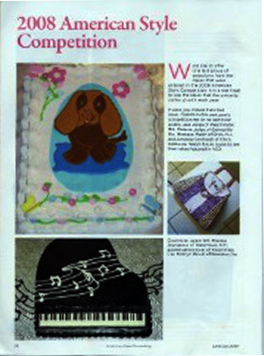 She has also competed in the Pastry Live event as highlighted in the Australian Baking Magazine. 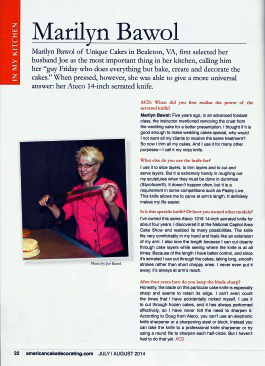 Here is Marilyn in the kitchen with her favorite knife as published in American Cake Decorating magazine. 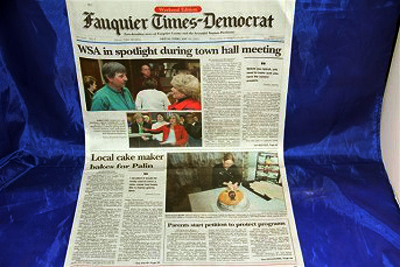 She has been highlighted in several newspaper and magazine articles and her work has been featured in international advertisements. 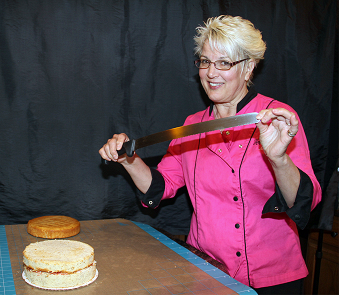 Her competition pieces always entertain and she is now engaged in teaching her trade. 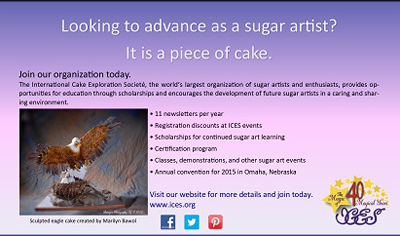 Contact us to experience her magic.